For a yummy drink at your next Holiday Open House - Enjoy! 1. Pour ingredients into a shaker filled with ice. Shake vigorously. 2. 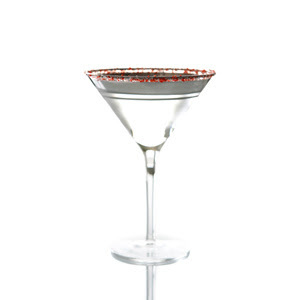 Strain into a chilled martini glass and garnish each with a candy cane or crush candy canes and rim glass. OMG Yum I cant wait to get home to try this! Thanks! !